In 1983, Bill Harrison acquired a franchise for Arkansas, supplying, servicing and maintaining HVAC equipment. Through the years, Harrison Energy Partners, has expanded its capabilities to include a wide variety of HVAC and energy solutions. Our 30 years of experience includes a diverse list of projects including numerous healthcare facilities, K-12 and higher education campuses, government installations, manufacturing facilities, commercial real estate, corporate office spaces and worship centers. We have several certified energy professionals on staff to assist with evaluating your building’s current energy usage and making recommendations regarding how to operate your building more efficiently. Our systems knowledge, service experience and controls capabilities make Harrison Energy Partners uniquely qualified to be your trusted adviser for all of your building’s energy management and mechanical system needs. Bill is an industrial engineering graduate from the University of Arkansas. Upon graduation, he attended the Trane Graduate Engineering Program before joining the Shreveport, Louisiana sales office. There he spent 17 years before being awarded the franchise for Arkansas and returning to his home state in 1983.Bill has held a number of leadership positions in the HVAC industry on both a local and international level, most notably having served as the ASHRAE Society President. Bill is still an active member of ASHRAE, as well as the Arkansas Association for Healthcare Engineering, and the United States Green Building Council. 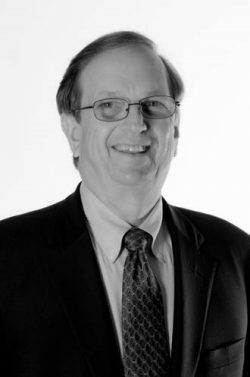 He has served as president of the Arkansas Academy of Industrial Engineering, the Mechanical Contractors Association of Arkansas and as chairman of the Arkansas Construction Industry Coalition.